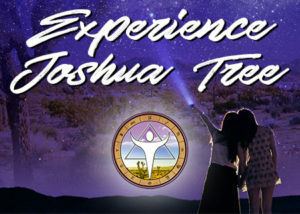 I’m excited to be presenting a workshop and leading an intensive at the Experience Joshua Tree Retreat in June. I would LOVE to meet you in person. The entire weekend is going to be rich, deep, mystical, and truly magical. Info below. 3 days of experiential seminars, workshops & outdoor ventures for healing, health & habitat. Toko-pa Turner, “Courting the Dream.” Toko-pa’s work focuses on restoring the feminine, tending to our reciprocity with nature, beautymaking, grief, and ritual practice. Take a deep look at some of the core practices in Toko-pa’s approach to dreamwork. Kim Hermanson, “Indigenous and Tribal Soul Energies.” Connect with your own sacred lineage of ancestral and tribal soul energies …energies which urgently want to be known and expressed in the world. John Steele, “The Soul of Plants.” Learn a trans-disciplinary approach to smell and fragrance drawing on John’s background in archaeology, anthropology, English Literature, memory research and Eastern mindfulness traditions. Please join us for this special, unique, magical journey into mystical spaces and places!